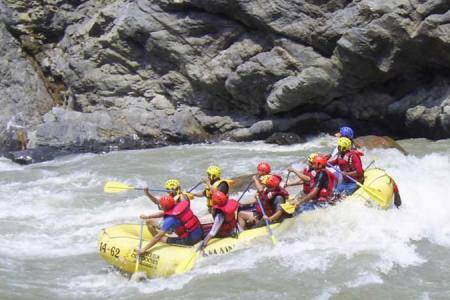 One of the 10th classic and best white water journeys on Sunkoshi (river of gold) is in Nepal offers a longest river trip and the most fascinating among the few rivers, which flow down from snow-capped mountains. 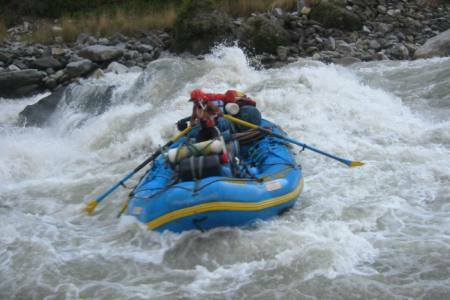 Big rapes, warm water, beautiful scenery and great camping makes this is a classic multi-day river trip. There will be a great trip for intermediate and advanced kayakers. 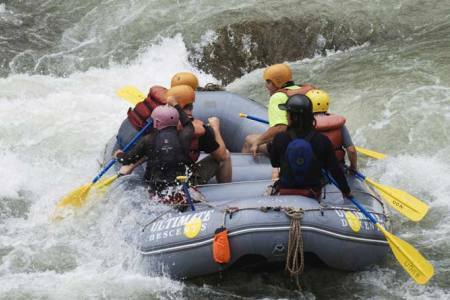 This enchanting river expedition of 9 days will definitely be the highlight of your visit to Nepal, its memory shall last forever and ever. 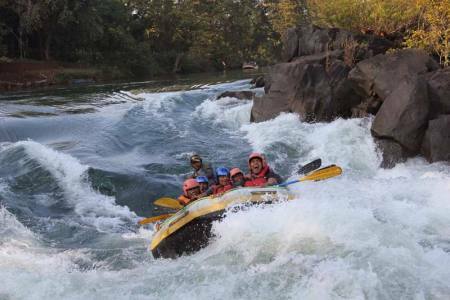 Sunkoshi is an unpredictable river, it has its own moods, serene, calm and tranquil one moment, wile and turbulent the next, always changing, always challenging, the ultimate in the river adventure. 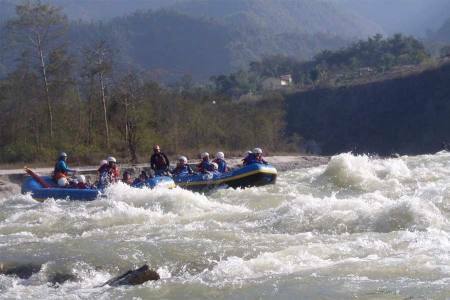 There are few more tributary of Sun Koshi as Rosi Khola, Junga Khola, Tamakoshi (Copper River), Dudh Koshi (Milk River), Rasuwa Khola. Tribenighat from where the Arun and Tamur join the Sunkoshi to form the giant Saptakoshi, which flows through Mahabharat range onto the Genetic plain. Day 01: After three hours driving from Kathmandu we will reach Damauli. Day 09: Flight will take you Kathmandu by 8th day but the bus needs 15 hours back to Kathmandu. Day 01After three hours driving from Kathmandu we will reach Damauli. Lunch, set up the rafts, safety briefing, load the gears and set off the river. Grade 2 rapids, Hindu temple and camp on Butterfly Beach. Day 02Breakfast, rafting , passing day with two big class rapids On the way Tamba Kosi joins the river increasing the volume just before we reach our camp. Cliff jumps, bat caves and track for tiger footprints etc. are the major attraction while on the trek. Day 04This day you will be dealing with hard rafts After up and down we will camp at the confluence of the Sun Kosi and Dudh Kodi. Day 05 In this days you will pass The "Big Dipper" and "Black Hole" are the last big rapids on the river and a fitting finale to the Sun Kosi. On the journey we will stop by the Arun and Tamur rivers to holy Hindu temple to view the sights. We will end our journey at Chatra, unload the gear one final time and jump in our bus/plane back to Kathmandu. Day 09 Flight will take you Kathmandu by 8th day but the bus needs 15 hours back to Kathmandu.